The Salvation Army, established in London in 1865, has been supporting those in need in His name without discrimination for more than 135 years in the United States. 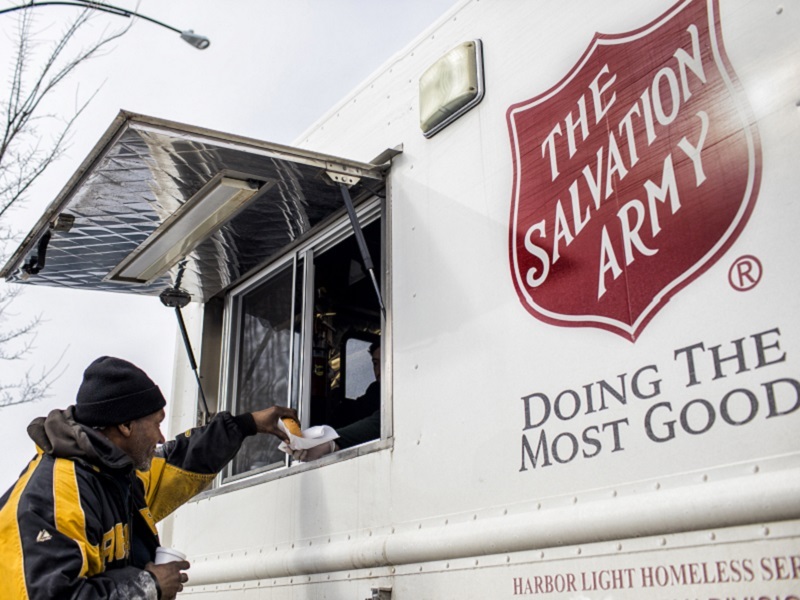 Nearly 25 million Americans receive assistance from The Salvation Army each year through a range of social services: food for the hungry, relief for disaster survivors, assistance for the disabled, outreach to the elderly and ill, clothing and shelter to the homeless, and opportunities for underprivileged children. Eighty-two cents of every dollar donated to The Salvation Army are used to support those services in 5,000 communities nationwide. The Salvation Army tracks the level of need across the country with the Human Needs Index. For more information, go to salvationarmyusa.org or follow on Twitter @SalvationArmyUS.